Supporters of the payday lending reform bill rally at the Ohio Statehouse. After months of sitting in limbo, an Ohio House bill to crackdown on skyrocketing payday lending interest loans might see some movement. The next step is to evaluate the lasting outcomes. In spite of previous reforms, some payday loan interest rates have approached 600 percent. A bill that would cap rates at 28 percent got its first committee hearing last week. Republican House Speaker Cliff Rosenberger says there are some sticking points to work out. “Still talking about the interest rates, talking about areas where third parties want to come in and of course maybe assist in paying off a loan and making sure those get processed. Those are all conversations and there’s many more that continue to happen." Rosenberger says the new rules may also include limiting the interest rates for auto title loans. The state's discussion is happening at the same time President Trump's interim director of the Consumer Financial Protection Bureau is talking about abandoning rules limiting payday lenders at the national level. 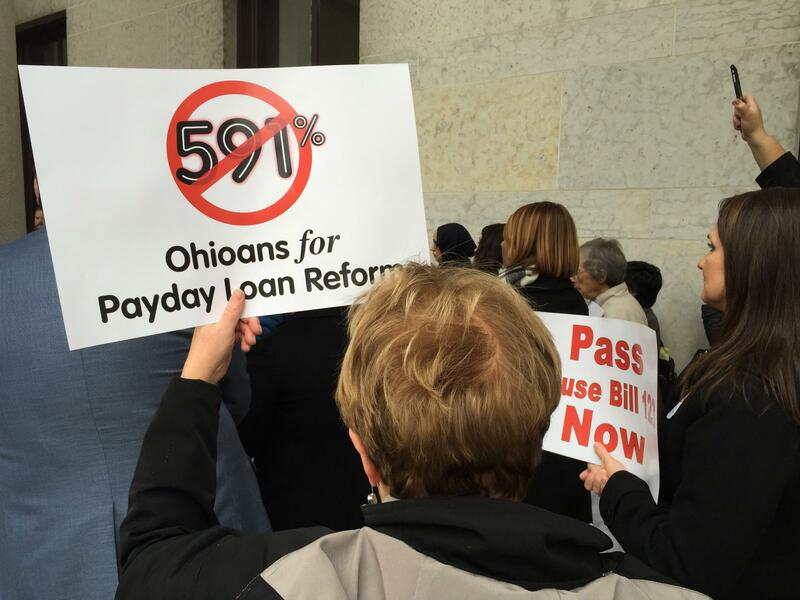 Community groups rallied to show their support for a bipartisan bill they think is needed to slow predatory lending in Ohio. The bill would cap the interest rate of payday lenders at 28 percent and close any loopholes around that cap. In spite of previous reforms, some of those loans have interest rates approaching 600 percent.